As per New York State law, veterinary technicians must meet professional education requirements and complete a licensing examination to practice in this field. Licensed Veterinary Technicians (LVT's) are always supervised by a veterinarian, as they assist in surgery, dentistry, and treatments, prepare and administer medications, take radiographs, induce anesthesia, collect specimens, and perform laboratory procedures and other nursing duties. joined our health care team in 2016 after working at Millwood Animal Hospital for several years. 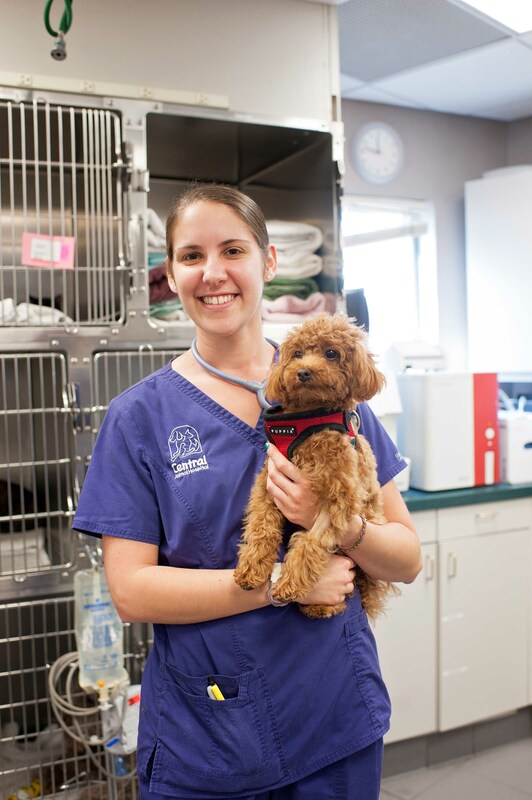 Cheryl earned her Bachelor's degree in Veterinary Technology from Mercy College, following earning a degree in Behavioral Psychology from Queens College. She enjoys reading, exercise, karaoke, and iced coffee. At home, Cheryl, her husband, and 2 young children care for 2 cats, Sunny and Jack, and a German Shepherd mix, Reggie. 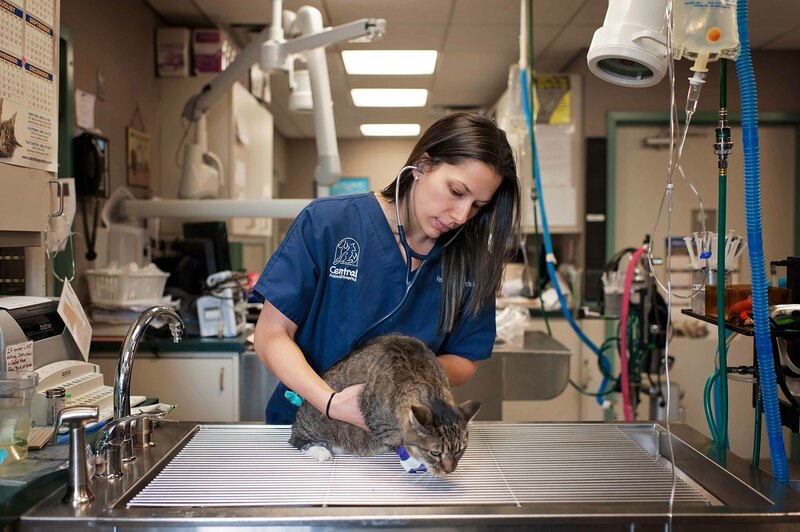 Crystal, a native of upstate New York, attended Herkimer County Community College and the Environmental Science and Forestry School at Syracuse University before graduating with her Veterinary Technician degree from SUNY Canton. Crystal joined Central Animal Hospital in 2007. She has a special interest in Animal Behavior and Physical Therapy. She, her husband, and their young son and daughter care for 4 cats, Auggie, Theo, Mattie, and Boogie, and a rescue dog, Sandi, who after multiple surgeries, has been rehabilitated, and is a great addition to the family. Joined our health care team in 2016. Rebecca first earned a degree in Conservation Biology from SUNY of Environmental Science and Forestry. 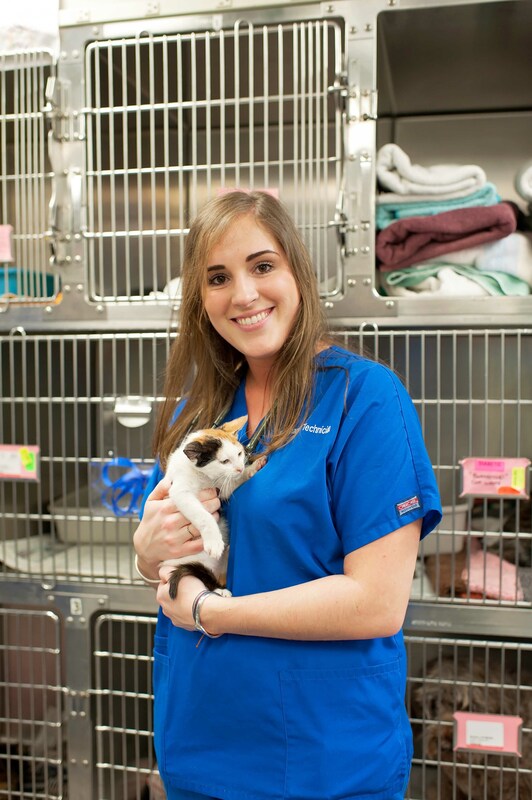 After spending a year working at Southern Oaks Animal Hospital in North Carolina, she developed a love for veterinary medicine, and pursued and earned her Bachelor's degree in Veterinary Technology from Mercy College. Rebecca enjoys zumba and spinning classes, baking decorative treats, and spending time with her family and friends. At home, Rebecca cares for a Cocker Spaniel mix, Goldie. 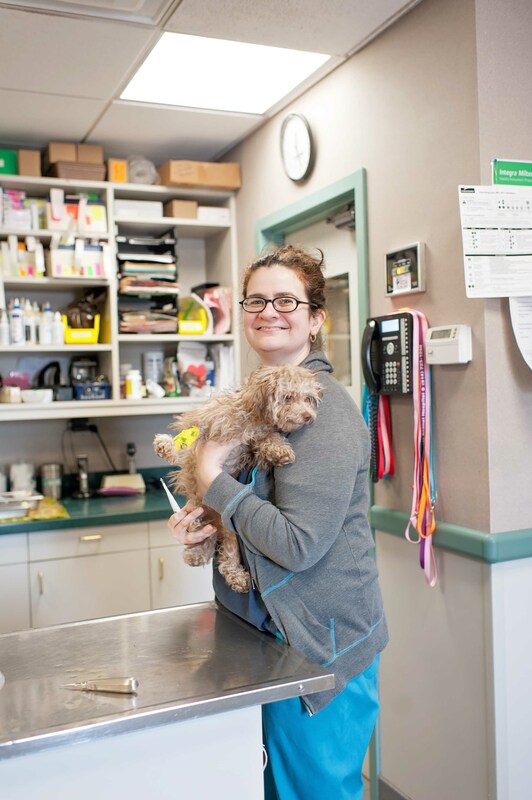 Joined our health care team in 2013 after working at Veterinary Care of Bedford. 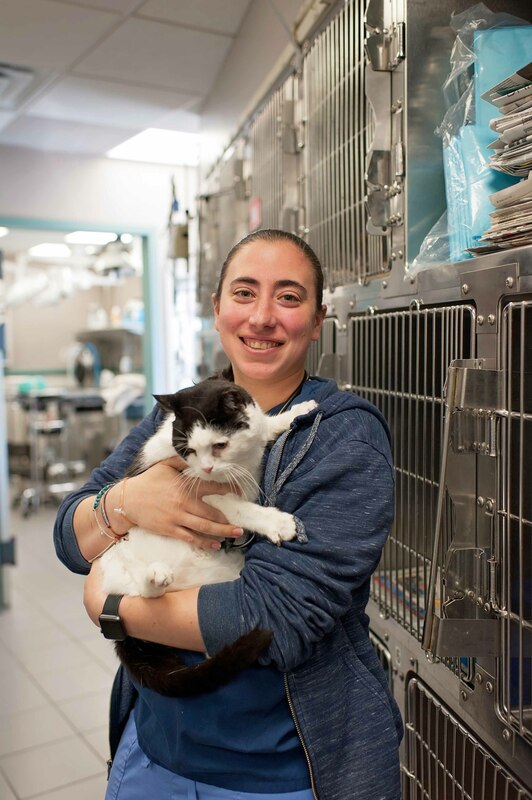 Christine earned her Bachelor's degree in Veterinary Technology from Mercy College and had externships at the Bronx Zoo and Animal Specialty Center. She enjoys assisting in surgery, and especially likes large breed dogs. At home, Christine cares for 2 dogs, Brodie and Donny, and a senior cat named Fez. Joined our health care team in 2010 after completing her undergraduate degree in Biology at the University of Scranton and her Veterinary Technology degree at Mercy College. Siobhan enjoys working with the varied kinds of pets that are brought into our hospital, and has a special interest in wildlife and exotic pets. She also enjoys emergency medicine. At home, Siobhan cares for a very active toy fox terrier named Pippin. Joined Central Animal Hospital following her work at the emergency department of Upstate Veterinary Specialties near Albany, NY. Kelly earned a BS in Biology at SUNY Geneseo, and then graduated SUNY Delhi with a degree as a Licensed Veterinary Technician. Kelly and her husband care for a Terrier named Pip, adopted while she attended SUNY Delhi. Joined Central Animal Hospital in 2016 following her internship from Mercy College. She thorougly enjoys caring for challenging and critical patients. She also has a great interest in surgery, dentistry, and emergency medicine. Lauren cares for 3 cats at home, Cloud, Rusti, and Bean. Outside of work, Lauren enjoys spending time with her family, spending time outdoors, and eating good food! Originally from Ukraine, Igor joined Central Animal Hospital in 1995. Igor earned his Veterinary Medical degree at Lviv Academy of Veterinary Medicine in the Ukraine, and then completed the licensing requirements to become a Licensed Veterinary Technician in New York. He enjoys all aspects of the veterinary medical field. He resides with his wife, a son, a daughter, and goldfish in New York City. Joined Central Animal Hospital in 2015, first as an extern while earning her degree from Mercy College, and now as a Licensed Veterinary Technician. Emi has a special interest in exotics and in zoo medicine. At home, Emi cares for 3 adopted cats and a rabbit name Alfie.